Untreated Sleep Apnea causes Heart and Kidney problems. Do you become drowsy at times during the day? Does it become difficult to concentrate and keep your eyes open? If so you may have Sleep Apnea and not even know it. This service is available in Rockville MD and Burtonsville MD. Research has revealed that 80% of individuals who have Sleep Apnea are unaware. Apnea can also be present in children. Sleep Apnea in children is often misdiagnosed as ADHD. Excessive bed-wetting is also a finding in Children with Sleep Apnea. Most People who have TMJ Pain Have Airway Problems and Possible Sleep Apnea. How Can we Correct TMJ Pain and Airway Issues? The DNA Appliance can be used to Balance the Bite and Open the Airway. Therefore The DNA Appliance is an Appliance that Treats TMJ Pain and Airway Issues. 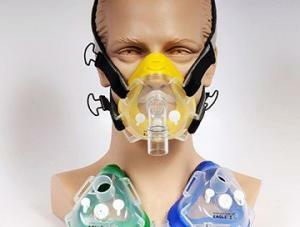 The DNA Appliance may increase the airway enough to Cure Sleep Apnea. Sleep Apnea (SA) is important to treat for many reasons, but the least of which is, IT CAUSES HEART AND KIDNEY DISEASE. SA is one of the leading causes of premature death. Premature death is usually secondary to a heart attack or kidney failure. It is usually not due to someone who stops breathing and dies during the night. SA and night-time airway issues are the biggest causes of tooth clenching and TMJ issues. 77% of people with SA have a TMJ problem. Corrective treatment of the Airway problems usually leads to improvements if not a cure of TMJ and SA. Yes, you should re-read the last sentence. It is imperative that the Dental TMJ Specialist consider Sleep Apnea when treating a TMJ patient. People who have Sleep Apnea stop breathing several times during the night. There are three types of sleep apnea: obstructive, central, and complex sleep Apneas. Each Apnea is characterized by abnormal periodic cessation of breathing, though the cause of the apnea episode is different for each type of Apnea. Obstructive sleep apnea is by far the most common form of SA. Obstructive Apnea is caused by a small mouth and airway, loss of elasticity of the tissues in the airway and poor sleeping tongue position. Obstructive SA is something as dentists we can improve or cure through treatments available to re-develop the oral-facial structures and jawbones. One such treatment is the DNA Appliance. ALF Appliances have also be shown to be useful in the treatment of Airway. A Laboratory Sleep Study called a Polysomnogram or Home Sleep Test is the only definitive way to determine if you suffer from SA. The tests are painless, simple to administer and generally take one night. The results are analyzed by a physician who will then give a definitive diagnosis. As dentists we do not diagnose SA, but we can assist in correcting the cause of the Disease-A SMALL MOUTH AND AIRWAY (in the case of Obstructive SA). The DNA Appliance can increase the width and depth of the jaws. The increase in depth of the lower jaw will cause the tongue and all the tissues in the airway to remodel and grow forward and out of the airway. Note increase in width of the lower 2/3 of the face and nasal passageways. Holistic Orthodontics uses functional forces such as chewing and tongue pressure along with a DNA or ALF Appliance to promote proper facial development. The best treatment for SA is to never get it. That is prevent SA by using Natural or Holistic Orthodontics. Do I have Sleep Apnea (SA) if I Snore? YES, If you snore, you most likely have SA. Snoring is a noise made by air forcing through nose and mouth passages. Snoring can be caused by many factors. SA often associated with snoring and if an individual Snores, they should receive a Polysomnogram AKA, Sleep Study. Individuals who snore may not have Sleep Apnea. A snoring patient may just have an upper airway restriction. People with SA might not snore. Snoring is caused happens when air going to the lungs is partially blocked. If air flowing to the lungs is blocked completely and repeatedly, the diagnosis of SA is given to the patient. Treatment of Sleep Apnea is very important since it is one of the leading causes of HEART AND KIDNEY DISEASE. We will repeat, SA IS ONE OF THE LEADING CAUSES OF HEART AND KIDNEY DISEASE AND EARLY DEATH. Wouldn’t I know if I have SA? 80% of patients with SA are not diagnosed. Sufferers of SA may have no symptoms at all. Most people do not understand the health consequences of SA. The consequences of not treating sleep Apnea are Heart and Kidney Disease and possibly early death. Chronic SA sufferers find themselves disproportionately with Heart Attacks, Kidney Failure and Dialysis. Many people have heads and faces that under develop. Under development causes individuals to have small mouths, noses and throats. No surprise, small mouths, noses and throats allow for less airflow to the lungs. Small mouths can be caused by kids not eating enough hard and chewy foods, bottle feeding vs breast feeding, malnourishment and of course genetic factors. Below is the EMA Appliance. This is by far one of the most popular appliances around. These Appliances can be used for patients with Mild to Moderate SA. The Appliance requires the patient to bite forward with the lower jaw. When the lower jaw (Mandible) moves forward there is a mechanical opening of the mouth and airway. The appliance is worn at night for the rest of the patients life and when it is not used the SA patient will have a recurrence of Sleep Apnea episodes. Positive Air systems that literally push air into the airway to overpower obstructions and increase airflow to the lungs. Obviously when the CPAP is not used SA recurs or worsens. These systems are not popular and many patients have compliance issues. DNA Appliance is a corrective therapy that redevelops the jaws and some of the facial bones. The Therapy increases the size if the mouth, nasal passageways and throat. The therapy can greatly improve or even correct Sleep Apnea. There are other Redevelopment Appliances available such as the ALF Appliance and the Homeoblock Appliance. This treatment since it is corrective is obviously the treatment of choice for many patients. Redevelopment Appliances take time and cost more money than CPAP and Mandibular Repositioning Appliances, but the can correct Sleep Apnea permanently and have other health benefits. It depends on your insurance coverage. Dental insurance may have orthodontic coverage. Medical Insurance may have Sleep Apnea coverage. We can not bill medical insurance but we will provide the correct procedure codes and a medical insurance claim form so patients can file the claims themselves. How can I get Diagnosed with SA? First, come in for a consultation and we can recommend a home sleep study. We believe home sleep studies are the most accurate since they are performed in the normal home environment. The home sleep studies are read by board certified sleep doctors (medical doctors). Dentists can provide therapies to improve the airway, but only a sleep medical can diagnose SA. Natural Dentist Associates is one of the topmost holistic dentistry clinic specializing in the holistic sleep apnea treatment helping patients with a healthy natural dental health for 25+ years. Please contact us or call us (301) 770-2270 or (301) 421-1996 to schedule your complimentary consultation!